Doc's Sports Team has been handicapping all major horse races since the company started in 1971. All Belmont Picks will be released on Saturday, June 9th at 11:30 am eastern time. 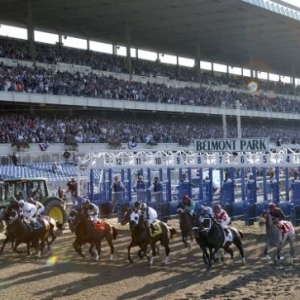 The Belmont Stakes takes place on Saturday, June 9th on Saturday evening. You can purchase predictions right up to post time. The Race will have great interest as Justify will attempt to win the Triple Crown. Belmont Park offers different obstacles when handicapping the race. This is the race that has eluded numerous Triple Crown hopefuls in the past. We will be in contact with numerous sources from the New York area during Belmont Week. Doc's Sports team really likes one horse running this long distance and that choice may surprise you! All of our expert handicappers will release their Belmont Stakes picks on Saturday, June 9th at 11:30 am eastern time. Receive all five handicappers picks for just $175! If you have any questions don't hesitate to call our office toll free at 1-866-238-6696. With this package you will receive expert Kentucky Derby selections from your chosen handicapper. All 5 handicappers expect to turn a profit and feature different betting techniques. The Run for the Roses takes place on Saturday, May 4th, 2019 at 6:30 pm on NBC. Selections will be released at 11:30 am on Saturday, May 4th and you can purchase them any time before the race starts. Find the handicapper that best suits you or sign-up for all 5 of them for $140 (Get 1 Free!) and have the best chance for success. So sign-up for a multi-handicapper discount call our office direct @ 866-238-6696. Note: Most handicappers just release picks on the Kentucky Derby and not the complete card from Churchill Downs. Who is ready for some horse racing action! The 'Road to the Kentucky Derby' is here and these are the prep races for the 'Run to the Roses' the Kentucky Derby. Get all the races your selected handicapper makes for a 7-Day period and don't forget the selected handicapper will have action on the Preakness Stakes and the Belmont Stakes.